And soon to be featured in a Disney film, no doubt. So in case you don’t follow me on the Twitterers (and I wouldn’t blame you…my Twitter is dumb) I recently put up some pics there of more items excavated from the Endless Stacks of Boxes of Promo Stuff from the Old Job. And, just for posterity’s sake, and due to the fact that once again blogging time is at a minimum, I thought I’d put ’em up here too. …and every time I’m reminded of the Mister X series by the Bros., I tell myself “I really need to get my hands on those comics” because (gasp!) I’ve never actually read them. 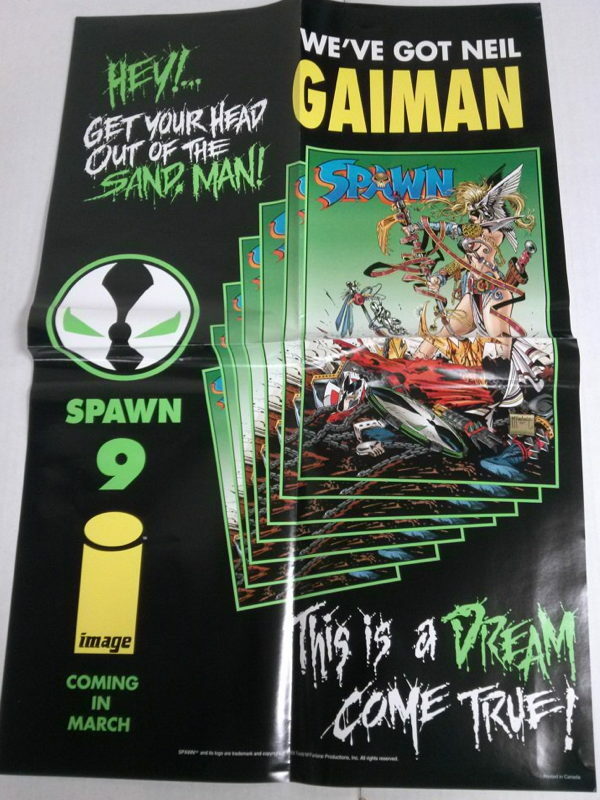 I mean, I’m pretty sure I read a preview/interview about these comics in Amazing Heroes at the time, which got my interest up a bit, but never actually took that final step into purchasing them. Well, what can I tell you, I was a boneheaded teen…as opposed to the boneheaded adult I am now. …that’s maybe drawn by Dave Gibbons, or maybe Steve Parkhouse, or…well, I’m not 100% sure. We had some back-and-forth on the topic on the aforementioned Twitter. 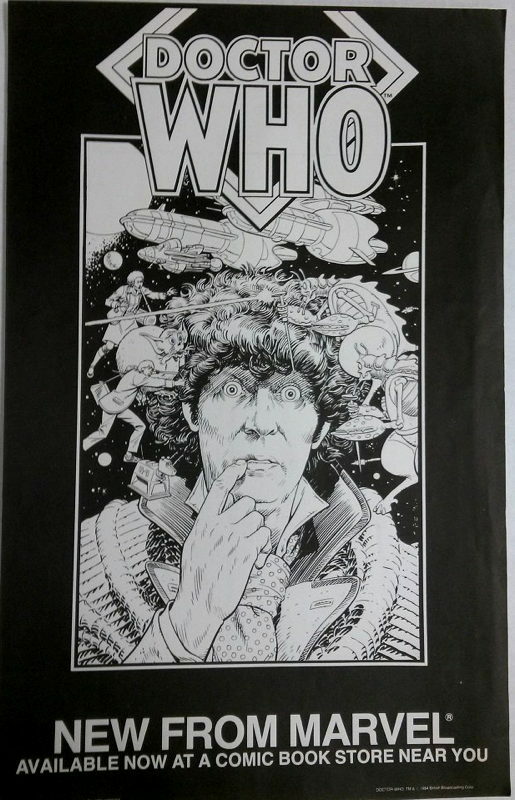 I’m leaning toward Gibbons, personally, though the extra rendering on Tom Baker’s face there is throwing me off a bit. Perhaps one of you can set me straight. Huh, an Image poster poking fun at DC while advertising Marvel’s hot new character. Interesting. I bought the Warner Books collection of the Hernandez Mr. X issues back when there weren’t that many collections available in bookstores. I’ve always felt they were the most coherent Mr. X stories. I remember those Los Bros Hernandez issues being the highlight too, although I ought to go back and re-read what I have. I mostly remember style over substance. But great style! And I have that poster up in my comic book room–even though it makes me feel a little pervy. The Hernandez Bros issues I have are good, but the real stand outs for me are the Seth illustrated issues. He hit his stride after an issue or two and went on to create about 3 or 4 of the best looking comics I’ve ever seen, really outstanding stuff.